Eating and anxiety disorders are the leading cause of death among the elderly, according to recent data from nutrition magazine Today’s Dietitian. The magazine also stated that anorexia nervosa is a significant factor among those fatalities. This is contrary to popular belief that eating disorders mostly occur in adolescents and teens. Treatment of eating disorders should be taken seriously. The article noted that body image, a common cause of eating disorders in teens, isn’t much of a concern for the elderly. Instead, their anorexia is caused by both physical and psychological factors. These include changes in their sense of smell and taste, deteriorating brain function, and grief caused by the death of a loved one. These problems could escalate into more serious ones like depression. It may cause them to reject food either as a way to seek attention or to actively commit suicide. A recent study published in International Psychogeriatrics showed that majority (over 88%) of the elderly with eating disorders had anorexia. The study also showed that these disorders usually came later in their lives. The researchers reviewed 48 papers about eating disorders among people over the age of 50. It showed that death was common among these cases, as there was a 21% mortality rate across all the studies observed. The discussions above have shown that eating disorders, especially anorexia nervosa, are very serious illnesses that the older population suffers. Here’s what you can do to help your elderly loved one deal with their condition. 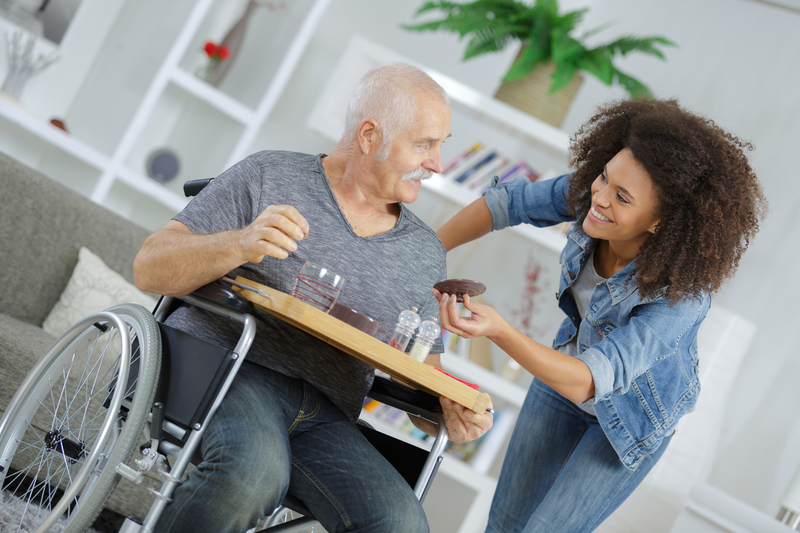 If your elderly loved one has an independent spirit, they might not ask for help outright. Based on a research paper that detailed the physical factors that contribute to anorexia, these may include problems like eating alone, difficulty in getting and cooking food, and even ill-fitting dentures. Issues like these often hinder older adults from enjoying their meals. You’d often hear your loved one say that they’re not hungry or they’d take a few bites and say that it’s enough. If this happens way too often, ask them if they’re having problems eating or preparing their meals. If they don’t acknowledge their problem, let them know that you’re there for them if they need any help. It’s better to have them open up to you than to interrogate them about their eating habits. Intrusive questions that lead to arguments could cause them to spiral further into their disorder. Just make sure to keep your lines of communication open. When your loved one finally acknowledges that they’ve been skipping meals, you should get professional help immediately. Mayo Clinic suggests asking for help from a psychologist first to schedule therapy sessions. You should also see a psychiatrist for their medication. A physician and a dentist should give your loved one checkups for any physical issues that might have emerged from their disorder. Ask their doctor to recommend a dietitian in Westport that can provide a nutrition plan for your loved one. Anorexia is a frightening illness that some older adults have to deal with. It’s difficult to see them suffer despite your efforts to provide them with tasty meals. Remember that eating disorders are often accompanied by mental illness such as depression. Show your loved one that you care and are doing your best to understand. Let them know that you’re with them through their journey towards a healthy mind and body. Eating disorders like anorexia and bulimia are often difficult to treat without therapy. The Center for Cognitive and Behavioral Health gives comprehensive treatment plans for patients with these conditions. The plans are made to help people manage their desire to binge or their lack of interest in eating. It’s our goal to provide a safe and comfortable environment that supports your loved one’s mental healing. Know more about our holistic approach to therapy by contacting us today.